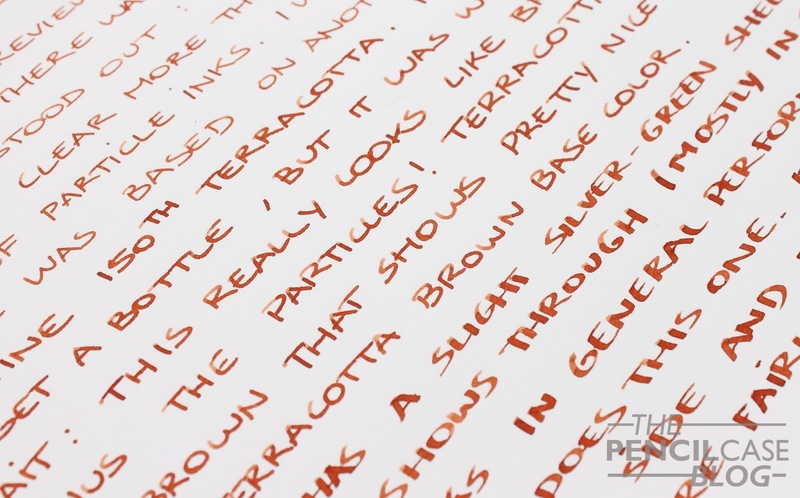 Back when I reviewed the Diamine Shimmertastic inks (quite a while back! Read my review HERE), there was one color (of the three I had on hand) that really stood out: Diamine Shimmertastic Brandy Dazzle. 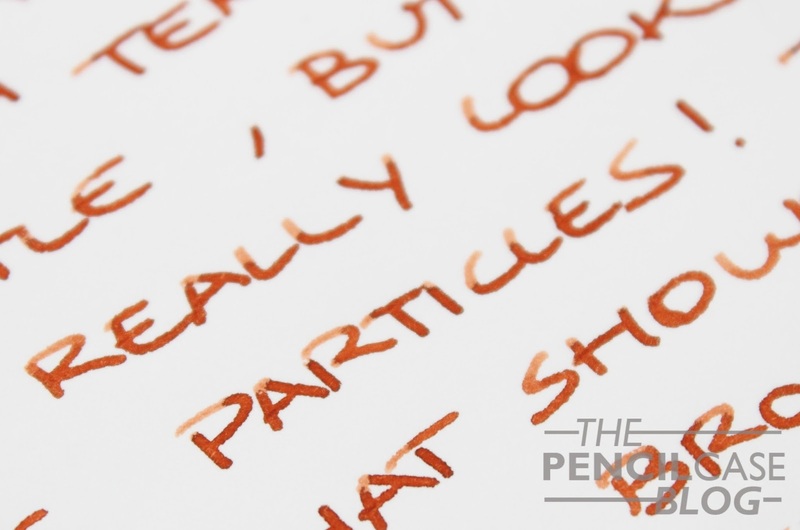 But as I pointed out more than once in the past, I'm really not a fan of particle inks. After quite a search for something to match Brandy Dazzle in color (but sans the gold particles), I was told that it's actually based on another Diamine ink: Diamine 150th Anniversary Terracotta. It took me a while to get a bottle, but it was well worth the wait. It's indeed almost identical to Brandy Dazzle, but instead of focusing on the particles, this one is all about the shading. Quite a lot of shading. 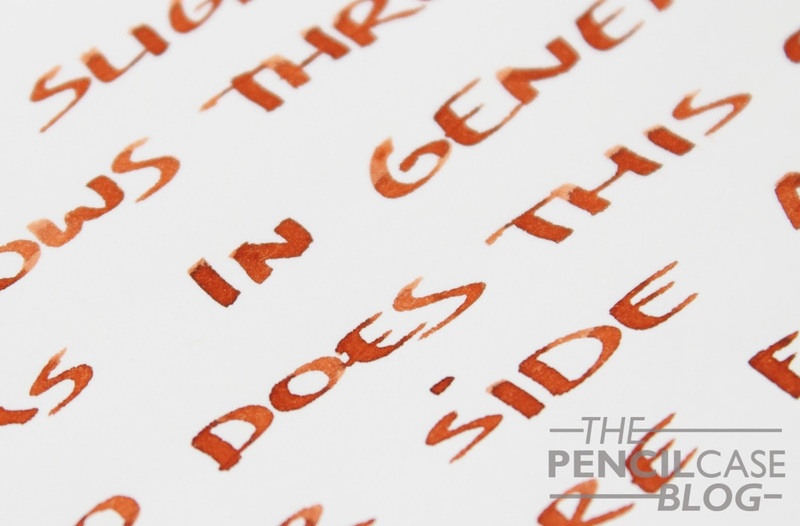 The earthy red-brown color is dusty, yet at the same time rich and colorful, leaning somewhat closely to another public favourite: Diamine Ancient Copper (but lighter). Shading is definitely one of the strong suits of this ink. 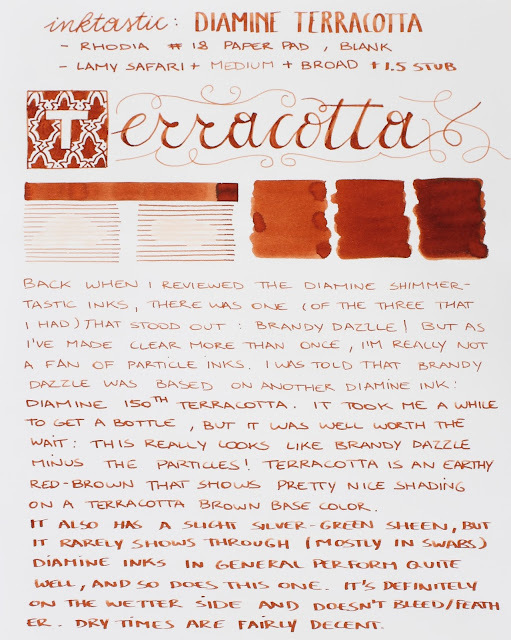 It shows a dark reddish color on top of the lighter base, and the shading is crisp and defined. 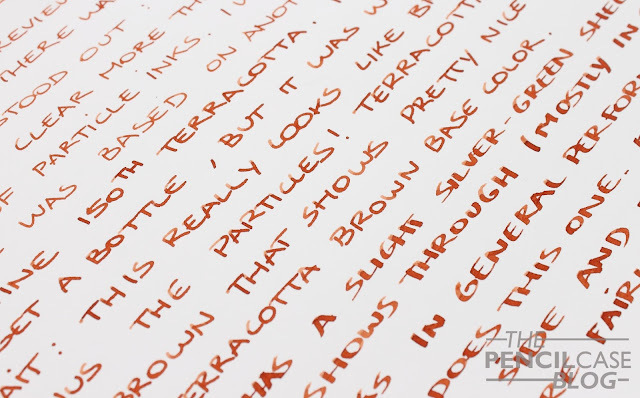 It has a silver-green sheen, but it rarely shows up on this Rhodia paper. 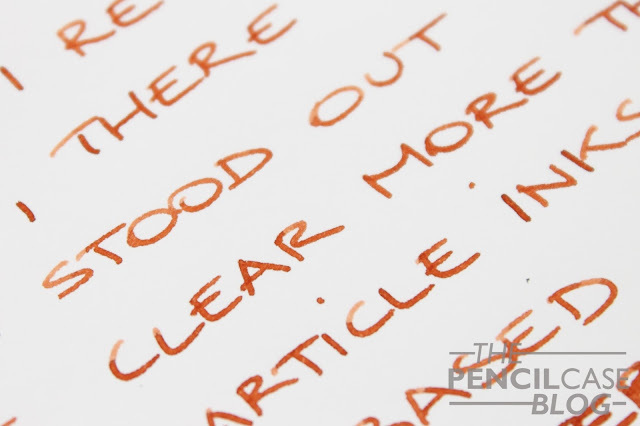 In swabs it becomes visible but it doesn't really contrast strongly with the ink itself (unlike the red sheen you see on a lot of blue inks). 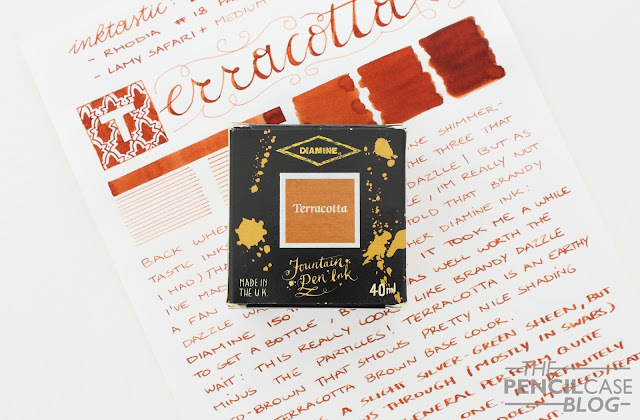 Diamine inks in general perform quite welll, and so does this one. It's definitely on the wetter side, and doesn't bleed or feather from what I've experienced. Dry times are fairly decent. 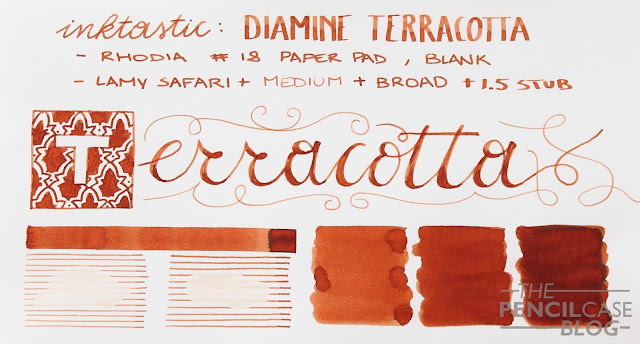 I like this ink a lot, the color is totally my thing, and I love how it shades. 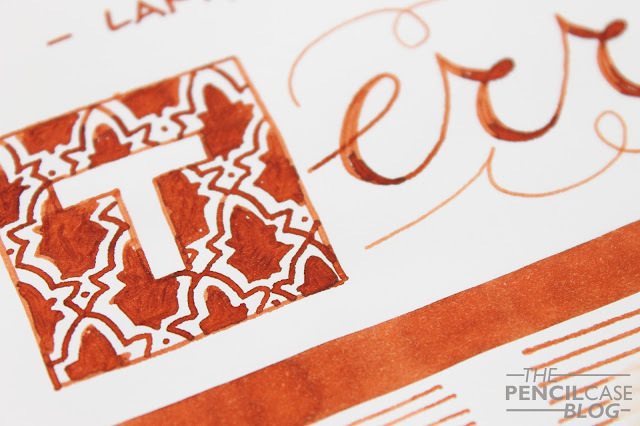 It really has a Mediterranean vibe to it I think (as you can tell from the little Moroccan-inspired pattern I drew on the written review page). 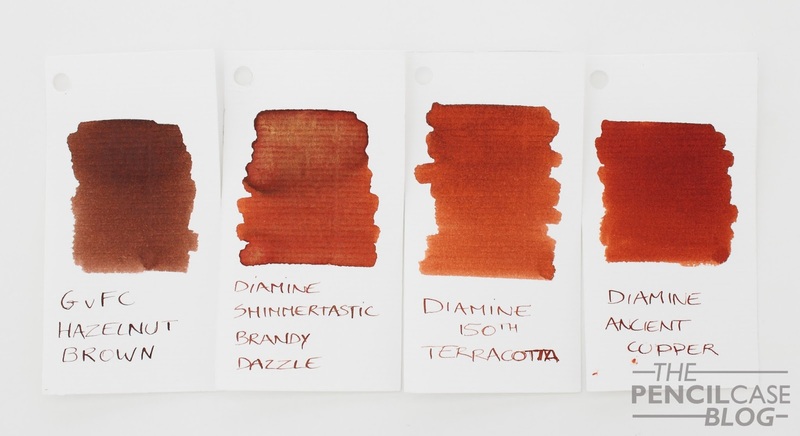 The 150th Anniversary inks from Diamine retail for 9.5 EUR (16 USD) for 40ml triangular bottles. They were originally supposed to celebrate Diamine's anniversary. But I'm fairly sure they are meant to stay in the permanent collection, since they keep releasing more colors to this day.